Should the Bucks Trade for Eric Bledsoe? The Suns could have a hard time getting anything back for Eric Bledsoe after his public trade demand. Are the Bucks a potential suitor? Andrew Sharp and Ben Golliver discuss potential deals between the two teams. It appears Eric Bledsoe's days in Phoenix are numbered. But did his public trade demand damage his value to the point that the Suns can't make a deal? 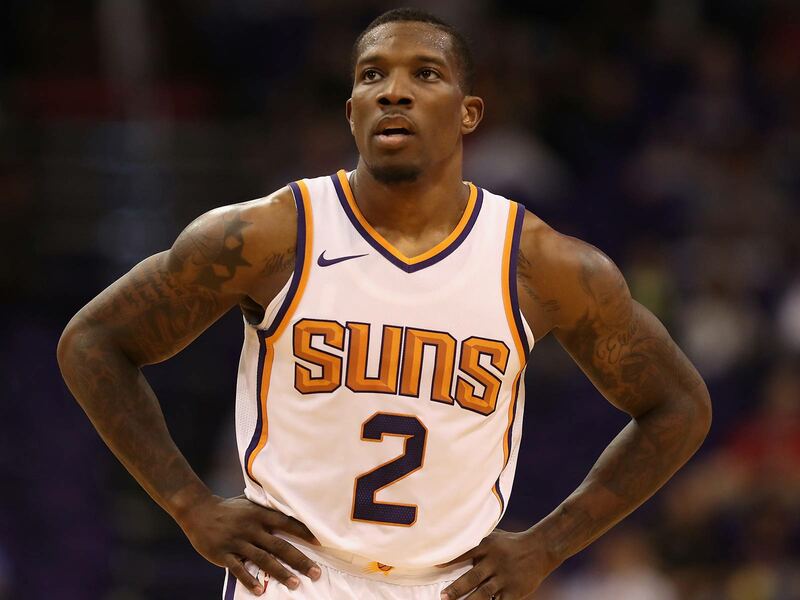 On the latest episode of Open Floor, Andrew Sharp and Ben Golliver discuss potential landing spots for Bledsoe and what the Suns might do with their disgruntled star. One suitor that makes sense: the Milwaukee Bucks. With the team on the rise and Giannis Antetokounmpo looking like an MVP candidate, the team could be interested in a veteran point guard to put them over the top and into the East's upper tier. Andrew Sharp: The two leaders in the Eric Bledsoe clubhouse are the Bucks and the Nuggets. Would you trade Malcolm Brogdon for Eric Bledsoe? Ben Golliver: I think that you’re already starting the conversation off in the wrong direction—I don’t know if you can get a real piece back for Bledsoe. I don’t think we can overstate how little he’s going to get you back. They screwed this up. They had 2 ½ years to trade him, they didn’t trade him. He’s a guy with injury history, he’s a guy who’s never really won as the main guy. He’s on not a huge contract, but not a bargain basement deal. And he’s a guy who tweeted: I don’t want to be here! Golliver: This is a very low-leverage situation. I think if you’re Milwaukee, you’re thinking, ‘Any guy who plays in our rotation and is on a rookie deal is off limits.’ I think that’s where the conversation starts. Golliver: That’s fine. I’m sure that will really help increase his value. [Laughs]. At that point, they’re just hoping someone else’s starting point guard suffers a season-ending injury. I mean that’s the only way they can come back at this point. They really screwed this up. We have fun making fun of Ryan McDonough, but like, he really messed this situation up. He had a chance to trade Bledsoe, we’ve been putting him in rumors constantly. There’s been all of these places, like Utah, that needed point guards and they’ve let it go. Sharp: Look, we shouldn’t spend too much time on this. I would just say, if I were the Bucks, I would not move Malcolm Brogdon because I think his shooting is pretty valuable next go Giannis Antetokounmpo. And I think he’s not going to be a guy who commands a $70-80 million deal in free agency, and there’s value there too. What I were do if I were Milwaukee, I’d think really, really hard over the next day or two about trading Jabari Pakrer for Bledsoe. That allows Phoenix to save face and it would probably be enough to trump any other offers that they have. Golliver: Dude. You’re talking to a Milwaukee stan right now and that’s a non-starter for me. You’re talking about good players. Golliver: Yeah! You’re overrating Bledsoe in this situation. You’re talking about a vacuum where Bledsoe, his Top 100 spot is what, top 40? That’s where you’re valuing him. You’ve got to value him at ZERO. That is his trade value right now. Sharp: Let me be clear. I am not overrating Bledsoe. Some of the takes I’ve seen flying around in the last 24-36 hours have been a little bit much for me. I think Bledsoe can help but he’s not going to swing things one way or another. His shooting, in particular, could be a weakness against really good teams. But I think there would be value for Milwaukee in not having to pay Jabari, because he’s going to command a lot of money and I’m not sure he’s going to be worth it. Bledsoe could definitely help the Bucks right now and for the next year or two. Not having to pay $130 million to Jabari is big win, right? Golliver: Well, you’re just pulling that number out of thin air. He’s going to have to prove it. He’s been super injured. I’m not sure his price is going to be that high. If the Bucks traded Jabari Parker in a deal for Bledsoe I would protest. I would publicly protest. I would march around my courtyard with a sign that says: Down Bucks Down. Sharp: Put it this way, I would trade Jabari before I traded Brogdon or Khris Middleton, because I think they fit really well around Giannis right now, and you don’t want to screw up that mix. Golliver: That’s fine. I think you can make a strong case that Jabari is the most tradable of those players, but I don’t think Bledsoe is getting back that type of player.